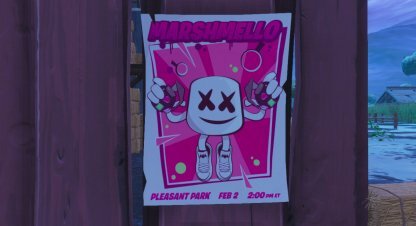 Check out this guide to complete Fortnite's "Use Keep It Mello at Locations" challenge for the Marshmello's Showtime Challenges! This guide includes where the locations are. Time to put your new emote to use! 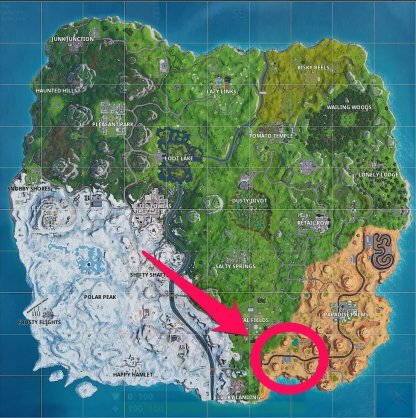 For this challenge, you'll have to go to a number of locations and use the "Keep It Mello" emote in all of them. 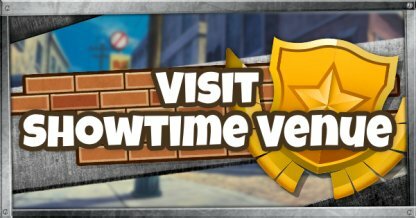 The Keep It Mello emote is the reward for completing the "Visit Showtime Venue" Showtime challenge. 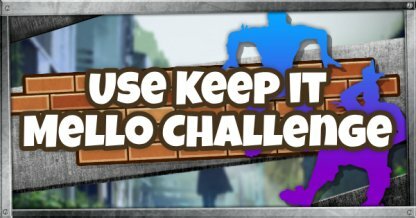 Players will have to complete that one first and earn the emote before they can complete this challenge. 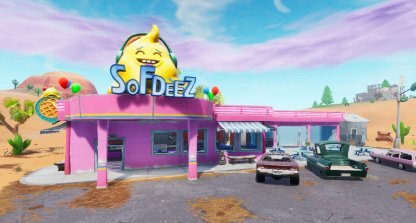 Where to Find the Locations? 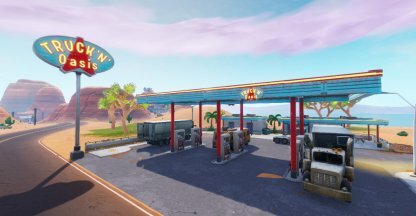 A rest stop for weary drivers, the Truck 'n' Oasis is truly an oasis for travelers as it stands in the Desert Biome. You can find it at the south end of the desert! 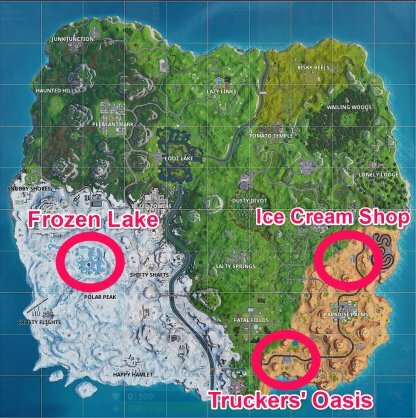 The Ice Cream shop stands out so much in the Desert Biome thanks to its pink walls! This shop is adjacent to the race track so finding it is quite easy. 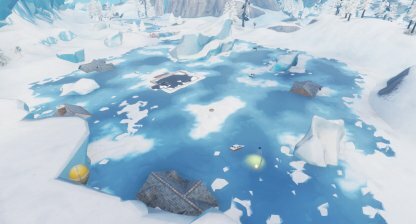 The Frozen Lake in the Winter Biome is really easy to spot! 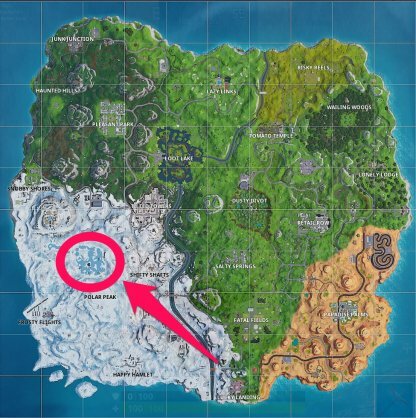 Make your way down to its icy surface and use the Keep It Mello emote to progress through the challenge. Using any other emote will be disregarded when attempting to complete this challenge. It strictly will only keep track of your progress if you use the Keep It Mello emote. There is no indication as to where specifically to dance for this challenge. You can complete it by dancing anywhere in the vicinity of each location!